Hello, Glow Audience! Combine Firming Densifier Active Treatment Moisturizer with our brand NEW super LIFTING Eye Serum for superior skin care results. Both contain fabulously effective Rubixyl® plus the new Lifting Eye Serum (20 to 91% visibly lifted, darlings!) uses LipoShield® (phyto-melanin) to protect your skin from damaging High Energy Visible Light (HEVL) emitted by cell phones and computers. This is a fabulous twosome and should be considered as an important addition to every Glow Girl’s and Boy’s skincare arsenal. Purchase now during our Annual Holiday Sale and get $25 off! Use Coupon Code MERRY25. See my original post below about Firming Densifier Active Treatment Moisturizer if you need a gentle reminder of how brilliantly effective that product is and why. And click here to find out the latest on brand NEW Lifiting Eye Serum. Here’s to a gorgeous Eye-Opening experience! 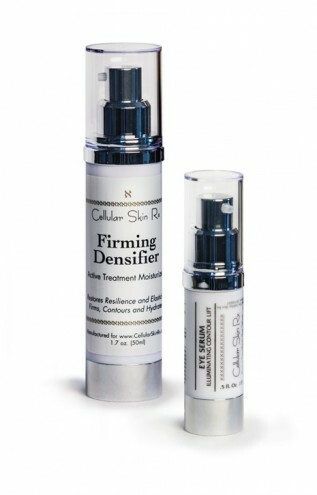 Dr. Glow Girl is delighted to announce the introduction of a new addition to our Cellular Skin Rx product line – Firming Densifier Active Treatment Moisturizer! I was truly sit-up-straight-and-pay-attention-focused when our formulation team hinted that they might have a new product ready that restored RESILIENCE, increased VOLUME (I nearly fainted), FIRMED and TIGHTENED skin in just 28 days (Yes, I fell out of my chair) and without a prescription! Of course, my first question was WHEN can I have it and please, can I submerge my entire aging body in it immediately? Okay, all Dr. Glow Girl wittiness aside, here’s the thing as I understand it. In the last few years, much research has been done and continues to be done (especially due to the epidemic of Diabetes 2 in the US) on something called “Glycation“. 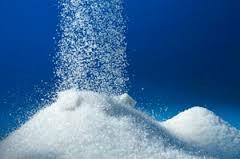 Glycation is a process that naturally occurs as we age and can be induced abnormally through too much sugar consumption, stress, UV exposure, and environmental insults. What happens is that the normal bonding of proteins in the skin starts occurring without the presence of some important enzymes. Without these enzymes, the protein bonding results in a stiff, brittle skin cell matrix, sort of like what happens when you bake bread without yeast – you end up with hard crackers -not fluffy, soft bread. When scientists examined the resulting cellular matrix, they observed that the fibroblasts, elastin, and other skin components were highly disorganized as compared to younger, healthier skin. Once this was discovered, research began to determine what could reverse this process, reorganize the cellular matrix, and get skin cells back on a normal structural development path. This is where our new Firming Densifier Active Treatment Moisturizer becomes the hero of the day, darlings! 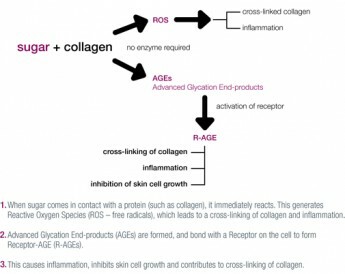 Combining new engineered peptides, Rubixyl® and Matrixyl® Synthe®6 with Niacinamide, Red Algae Extract, Mung Bean Sprout Stem Cells, Swiss Garden Cress extract, Carob Seed extract and Sea Buckthorn Oil resulted in a super-hydrating moisturizer that does quadruple-duty as your facial resilience architect/collagen rebuilder/glycation stopper/detoxifying elixir. Nice immediate results include redness reduction and smoother, supple skin. Dr Glow Girl sees a reorganization in her skin’s future – and yours, too, darlings! Starting today, Dr. Glow Girl’s 28-day countdown to tighter, stronger, firmer, volumized and resilient skin begins. As for my abs, well, if only this remarkable Firming Densifier Active Treatment Moisturizer would work on muscles, too. Hey, a Doctor can wish, can’t she?